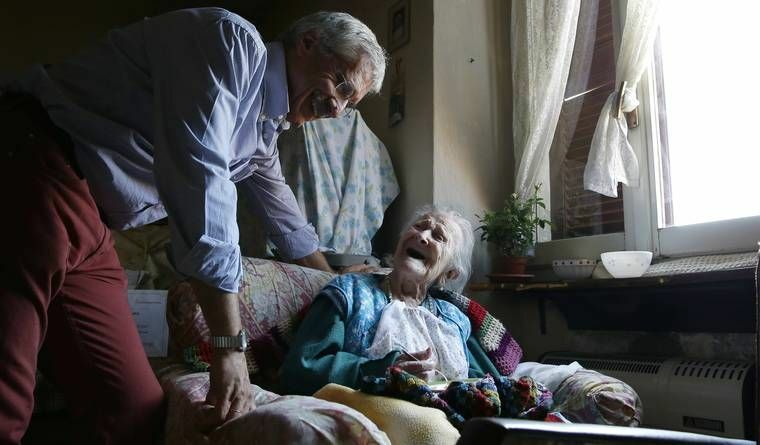 As of Thursday, Emma Morano is the only person on Earth who was born in the 1800s. She credits her longevity to her very bizarre diet. The 116-year-old Italian woman isn’t gluten-free, vegan, or Paleo. She’s not gulping green smoothies or snacking on superfoods. Morano told the Associated Press she eats two raw eggs a day. Yes, really. “He told me to eat two or three eggs a day, so I eat two eggs a day,” she said. Morano’s secret doesn’t mean we should all be slugging back egg yolks in the name of health. Even though instances ofegg-related salmonella have reportedly decreased since 1998, eggs for human consumption are probably better off cooked, because hey — why risk it? Plus, one study found that egg protein is more digestible when cooked, yet another compelling reason we should fully cook our omelets. Whether or not raw eggs are all they’re cracked up to be (had to), Morano’s old age isn’t out of the ordinary for Italy, where there are a number of centenarians. In one village, there are roughly 300 people over 100 years old, NPRreported.